Approaching Ito Sunrise Marina, you will see buildings like candy houses at 34 59.8N 139 07.2E which is my “ITO 1” waypoint on attached Google Map. 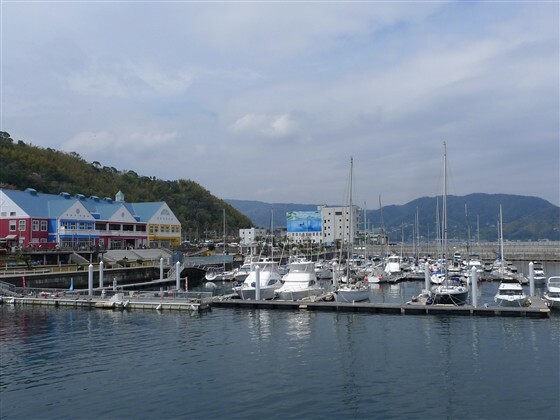 Those buildings are Ito Marine Town resort complex, in the sea side of which there is Ito Sunrise Marina. The wall of tetrapods comes into sight just before the marina. Going around the south end of it, you move into the marina. The visitor berth is the pontoon at the innermost of the marina. 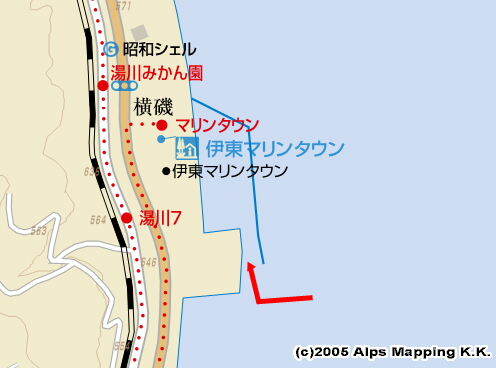 Next to the marina, there are Onsen (spa), many restaurants and souvenir shops. The old Ito downtown is 20 minutes walk away. Or, take bus services.